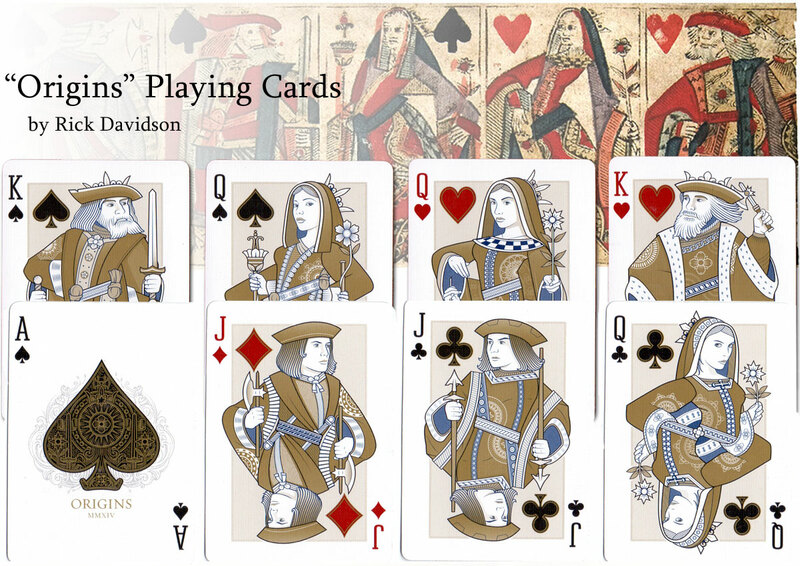 Rick Davidson's “Origins” playing cards is an inspired, present-day re-design of a celebrated medieval playing card pattern, one which has become universal the world over... that is, the original design for our standard Anglo-American deck. Rick's background is from a family of artists. “I have always thought today's card art was far from beautiful and I decided to explore how that art managed to become the standard.” We tend to agree, as the quality of playing card designs often deteriorates over time. Rick has produced an interesting interpretation of the figures, keeping the historical postures. We'd like to see a version with the traditional colours for English cards. Reviewed by Simon Wintle and Ken Lodge.